I headed out on a boat trip with the forum from Ramsgate on FishTickler III in search of Plaice and a few wrecks. We headed for the Plaice first and once we arrived we started drifting. We had a small wager on the first fish caught and the biggest of the day to make things more interesting. I was using a spreader boom with 50cm snoods with mismatching beads and a small spoon with ragworm on. On the first drop I got a bite but wasn’t sure if they was anything on it so I dropped it back to the floor, but the taps kept coming. I pulled the line up to find a decent sized Gurnard on the hook. 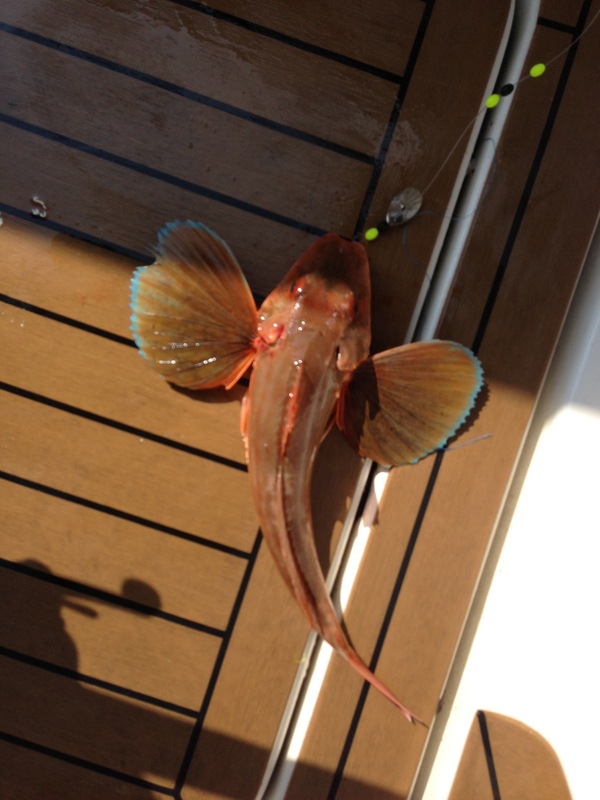 I was informed that it was a Tub Gurnard of 30cm long weighing 10 1/2 ounces. 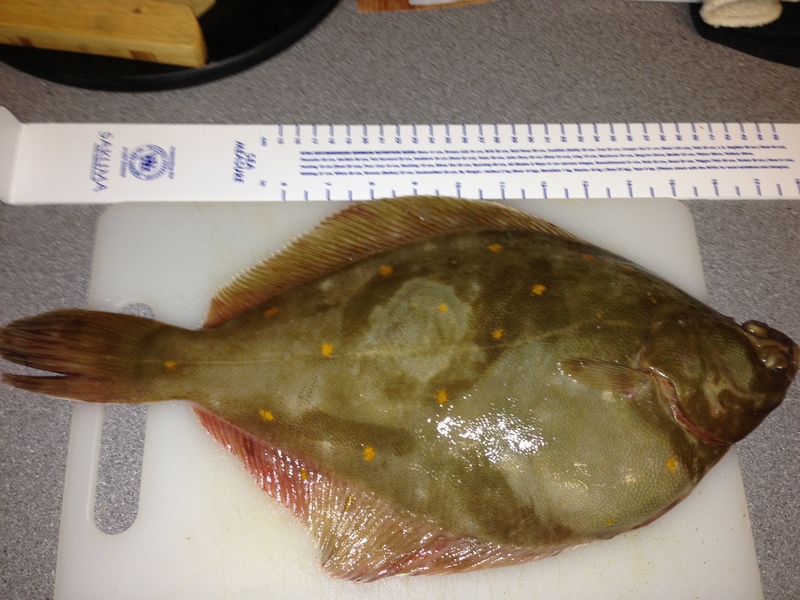 I baited up again and sent to it the sea floor and got a decent bang on the rod and pulled up a great Plaice of 44cm and weighing just shy of 2lb at 1lb 15oz. Very soon after Micks rod bent double. After the lump on the end of the rod surfaced it was initially thought to be a turbot when upside down, but once it was netted the spots were seen and it was a 5 1/2lb monster Plaice. This was now the biggest fish on the boat. We were going to move along but decided to stay and try to get some more. A number of sizeable other Plaice joined the collection pot and then the bites died off. We stayed a bit longer but still nothing, not even a knock. We decided that we would start wrecking and headed for the first wreck. We had two drifts here with no results and as it was busy here with boats moved onto another. At one of the other wrecks Andy hit into something big and slowly brought it up form the depths. This turned out to be a lovely looking 9lb Cod. This was now the biggest fish. After a few more drifts across a few more wrecks nothing was coming up, but rigs were being lost so we headed back to Ramsgate.